As the ashes are being swept away we’re planning for great things. Hear from our Re-Bu experts in interviews, articles, and much more! Nathan Jones and Doug Burdge talk rebuilding Malibu after the wildfires & hosting special Thanksgiving dinner for residents. 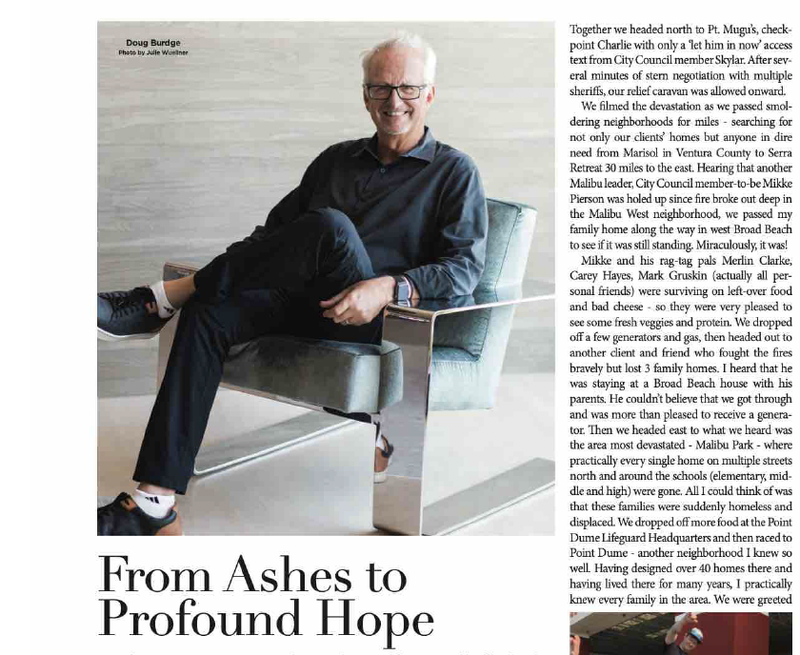 “From Ashes to Profound Hope" in an article done by the Westlake Malibu Lifestyle Magazine.